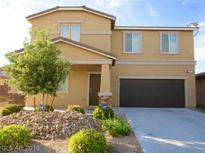 Below you can view all the homes for sale in the Grande Point subdivision located in Las Vegas Nevada. Listings in Grande Point are updated daily from data we receive from the Las Vegas multiple listing service. To learn more about any of these homes or to receive custom notifications when a new property is listed for sale in Grande Point, give us a call at 702-323-5939. A Gorgeous House In A Larger Corner Lot With 3 Car Garages*4 Bed Rooms&4 Baths+loft*high Ceiling In Living Room*spacious Family Room With A Fireplace*open Floor Plan W A Huge Kitchen With Granite Couter-top&upgraded Cabinets*master Bed With Wak-in Closet*master Bath W Separate Tub&shower*downstairs Bedroom With A Full Bath*huge Laundry Room W Counter-top*desert Landscaping*close To Freeway/Schools/Shopping/ Restaurant/Airport*many More*must See. MLS#2083137. Realty ONE Group, Inc.
Property is at convenient location close to strip, airport, freeway... MLS#2082325. Luxury Homes of Las Vegas.